As the siren sounds, all Israelis stop, stand still, and remember. 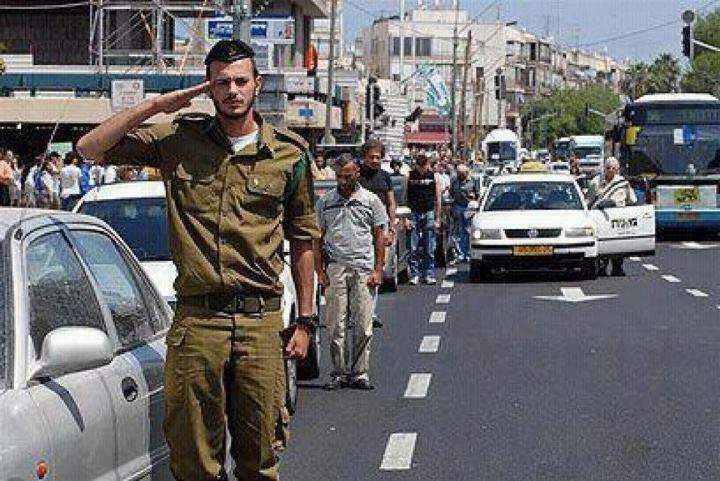 This soldier is saluting his fallen comrades. Glory and sadness, hand in hand. We mourn our fallen soldiers. We do not hide the tears, but we are not crushed; we are proud. Even with the greatest losses, parents having lost an only son, we all stand tall and proud today. It is a day of mourning, but it is a day of pride. We did not die defenseless, we were not executed, we were heroes, and we died for a goal, a lofty goal. Glory and sadness; we hide neither. The Glory and the Sadness, the pride and the pain. Forever remember our names, forever, forever, forever. A spring day will come and on that day you will remember that it is because we willingly gave our lives. The sadness and the glory, side by side. Forever remember our names. We burst into the city, our legs were strong and our hearts were full. We have come home. Silence, remember, lower your head when you think of us, but then raise it high, the Glory. Who has not suffered a loss? Who has not stood beside the grave of a young man or woman? With pride and pain, Glory and Sadness, we stand, and we remember you. Remember us on the streets of Jerusalem, remember us on the streets of Tel Aviv. As you drive from Tel Aviv to Jerusalem look to the side of the road, see the old armored vehicles that we drove in. We knew our chances were slim, but we had to relieve the besieged residents of Jerusalem. Bab El Wad, forever remember our names, on the side of the road lie our dead. And now silence. And when the spring day comes, and you walk quietly, enjoying the peace, remember…we burst into the city like young lions. The Glory, the Sadness, side by side. The streets of my town are filled with young people dressed in blue and white, our national colors. At the post office, 11 a.m., the siren goes off…as one person we stop, we stand, we remember, we lower our heads. Moran, the postal worker who is handling my package stands up, she lowers her head, I see her lips are moving. She is reciting something, what is it? Is she reciting Psalms for the dead? Is she reciting the names of loved ones lost? Is it a prayer for the future? I think of my cousin Ari Weiss, killed by a sniper's bullet while searching for a terrorist cell. We stand tall, there is Glory. There is unspeakable sadness, but there is Glory. No one is complaining, no one is uttering a word of bitterness. Silence. Silence for our fallen, remember…remember our names, remember our legacy, remember what we fought for. Fire, knives, bullets, rockets…in blood and fire Zion is redeemed. Remember, we are commanded to remember. May their souls rise up to heaven and pray for peace. Ari Weiss, of blessed memory, twenty two forever. Do not forget him, do not forget 23,085 Israelis who gave their lives. The Sadness, the Glory. We burst into the city, our dead lie on the side of the road, we are fighting, we are moving forward, after 2,000 years we are back, the blood of King David flows through our veins, the spirit of General Bar Kochba is in us. Nothing can stop us now, we raise the flag over Jerusalem! Do not forget our names, we are marching forward, from the exile, from the four corners of the earth, we are marching home to Israel. What makes Israeli society unique? 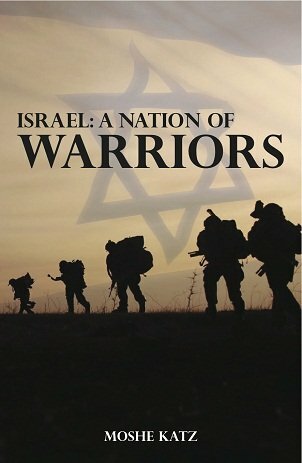 What makes this nation a true nation of warriors, warriors for peace? How does this nation cope with loss? Where does our fighting spirit come from?